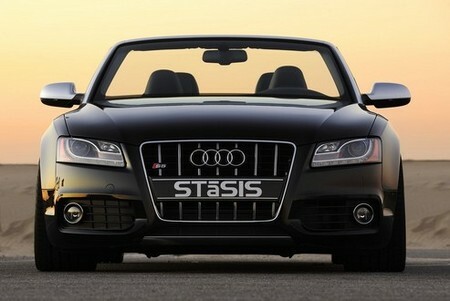 If you are looking for one of the coolest four-seater convertible with a touch of exclusivity, look no further, because this Audi S5 Cabrio tuned by American company Stasis is just the thing! The S5 itself is a fabulous car to begin with and Stasis tweaks make it just better. There’s no stupid body kit and the looks is only improved through a set of 20-inch ultra lightweight aluminum wheels and some nice lowering. This car is the 3.0 liter TFSI model and Stasis has fitted it with a revised ECU and custom stainless steel exhaust system. As a result, this fuel efficient six-cylinder makes the same power as a V8 at 410 hp and 370 lb-ft of torque. This is one of the finest tuned car’s we’ve seen in a long time.